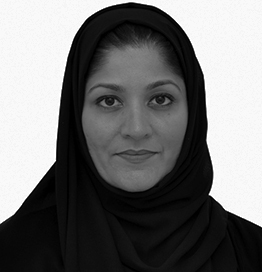 Dr. Asma Siddiki has been involved in the education and higher education sectors in MENA for the past twenty years. She most notably held leadership roles at corporate and academic institutions, in particular, working with universities in their early stages of development focusing extensively on student services, institutional effectiveness, curriculum development, organizational development, and global institutional partnerships. She is also Founder & Chief Champion of a non-profit called Simply Heuristic (focusing on learning through experience and discovery) and Founder & ex-Chief Executive Officer of Oxbridge Learning Limited (previously Alpha1Education) that organizes Oxbridge Summers, a summer school programme at the universities of Oxford and Cambridge in the United Kingdom. Asma is currently serving currently as Vice Dean for Student Affairs at the Prince Mohammad bin Salman College of Business and Entrepreneurship at KAEC, Saudi Arabia, as part of her role as Senior Director for Special Projects at Emaar Economic City in KAEC. She has also worked as an Education Management Consultant and has served as Director for Global Higher Education at the Huron Consulting Group. Earlier positions include Associate Dean for Development and Director of Degree Programmes at the Mohammed bin Rashed School of Government (previously the Dubai School of Government in partnership with Harvard Kennedy School) and Vice-Dean at Effat University in Jeddah. She was also a Senior Fulbright Scholar at the University of Massachusetts, Amherst focusing on Civic Engagement as it relates to the student experience. Dr. Siddiki serves on the Saudi-British Society Committee amongst other initiatives for cross-cultural dialogue and understanding, was selected for the Vital Voices VV Grow Fellowship for female entrepreneurs, and was recently recognized for her professional achievements and contributions to society by the World Economic Forum, as a Young Global Leader. Dr. Asma Siddiki was educated in England, Switzerland and Saudi Arabia. She received her Doctoral as well as her Master’s degrees from the University of Oxford, and her Bachelor’s degree from King Abdul Aziz University.